Eeee only 5 more sleeps until Christmas and I have been sipping on wine and bubbles before laying my head down every night to a winters nap… oops. I’ve been having a wonderful time spending the last little while with family and friends who are like family. Dinners, concerts, markets and parades. Here’s just a few snaps! 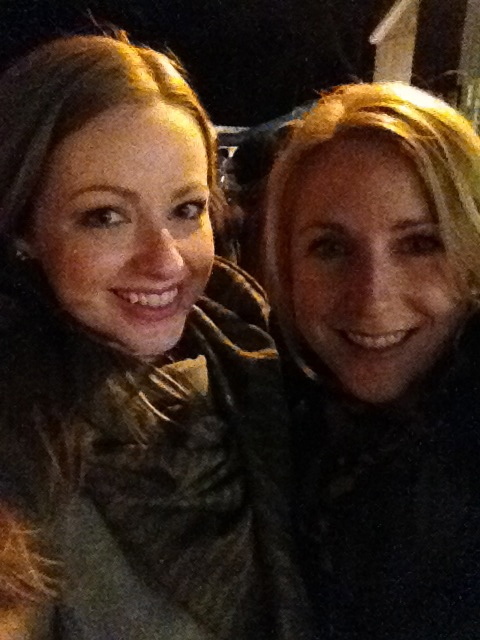 Me and Jenna at the Main Street Christmas lights parade! 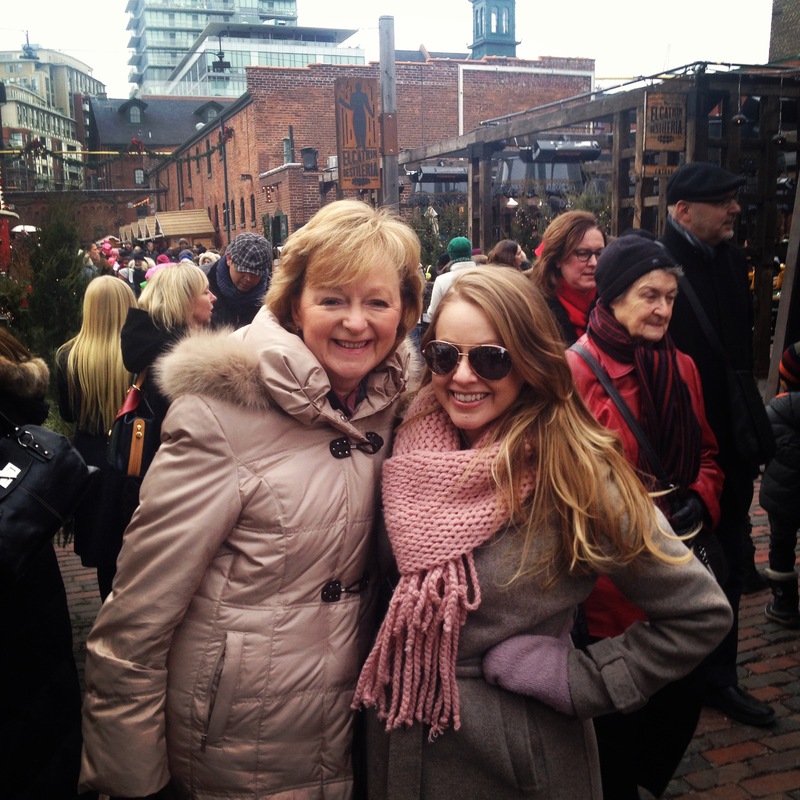 Me and my Mom at the Loew’s Christmas Market! So much fun but so, so cold. When I get home from all of these activities I love a hot bowl of soup to warm up. 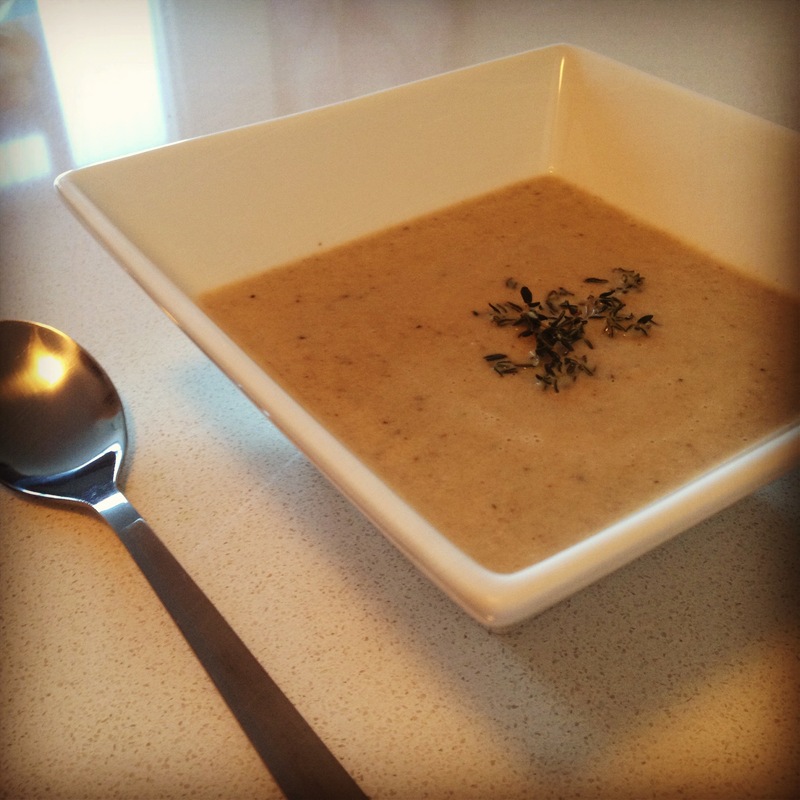 My favourite is a mushroom soup I learned how to make while watching a Christmas Special on the Food Network Canada featuring Anthony Sedlak. 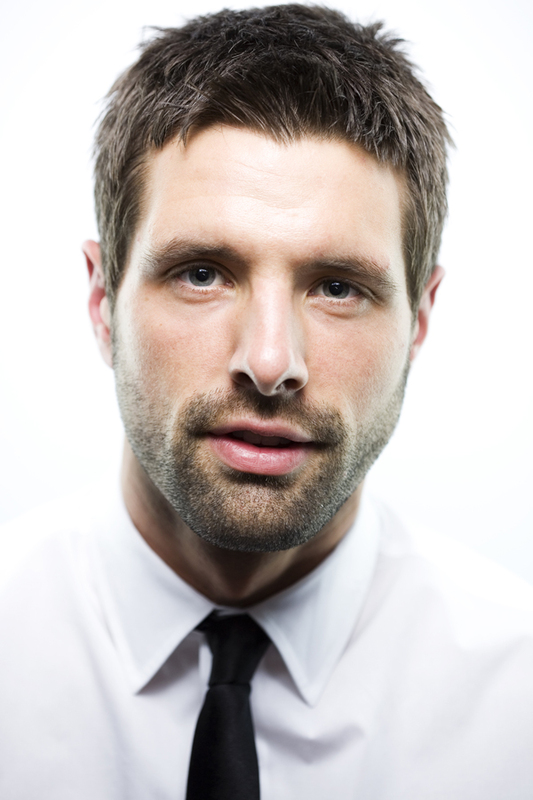 Anthony Sedlak passed away in the summer of 2012. He was way too young to go and such a talented chef (and easy on the eyes while watching cooking shows). I still love every recipe I have made of his, but especially this soup over the holidays. Here’s his exact recipe, nothing needed to be changed. Warms my heart and soul. Combine the butter, olive oil, onion, garlic and leeks in a large soup pot. Sweat for about 2 minutes. Add thyme, tarragon, white wine and sherry, cover and place over medium-high heat. Allow the mixture to cook until the onions are soft and translucent (about 7 – 8 minutes). Remove the lid and add the mushrooms. Cook the mushrooms, until they begin to sweat and loose volume (about 2 – 3 minutes). Add the stock and whipping cream and bring the mixture to a simmer. Add the soya sauce and allow the mixture to cook for an additional 10 – 15 minutes. Add the sherry wine vinegar and season the soup with coarse salt and freshly ground pepper. Blend the mixture in a standing blender until it is uniform and smooth. Serve hot with a bit of bread on the side. 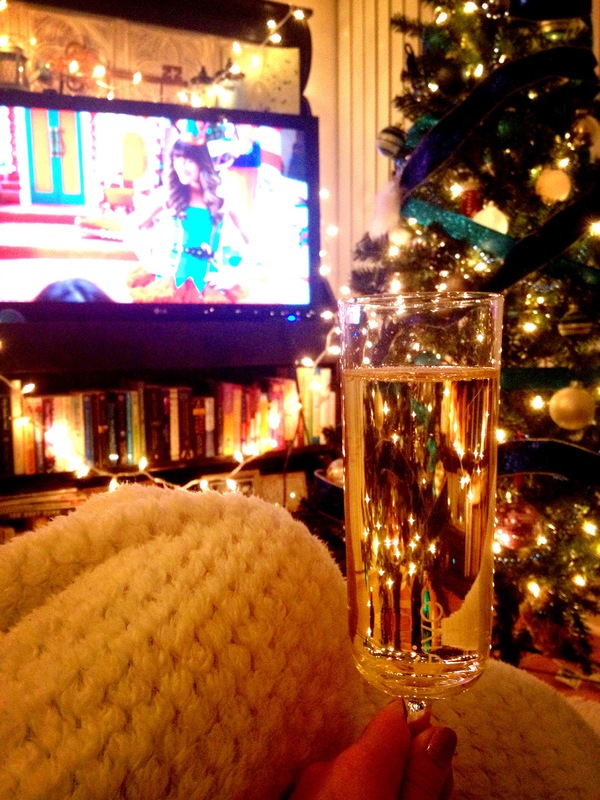 Tis the season for Holiday Soirées! I always love to take a gift from the heart when attending any party, especially during the holidays. While a bottle of bubbly is alway appreciated, I tend to get a bit of the baking itch in December. 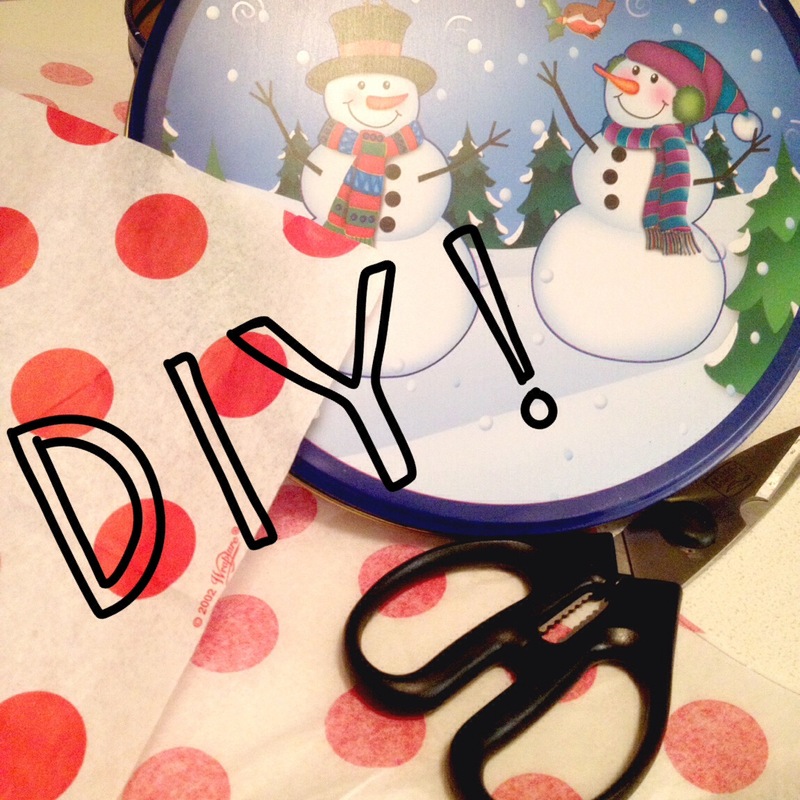 For UNDER $3, using supplies from the dollar store, you can wrap up your favourite batch of Christmas cookies and treat someone to a little “sugar, spice and all things nice”. 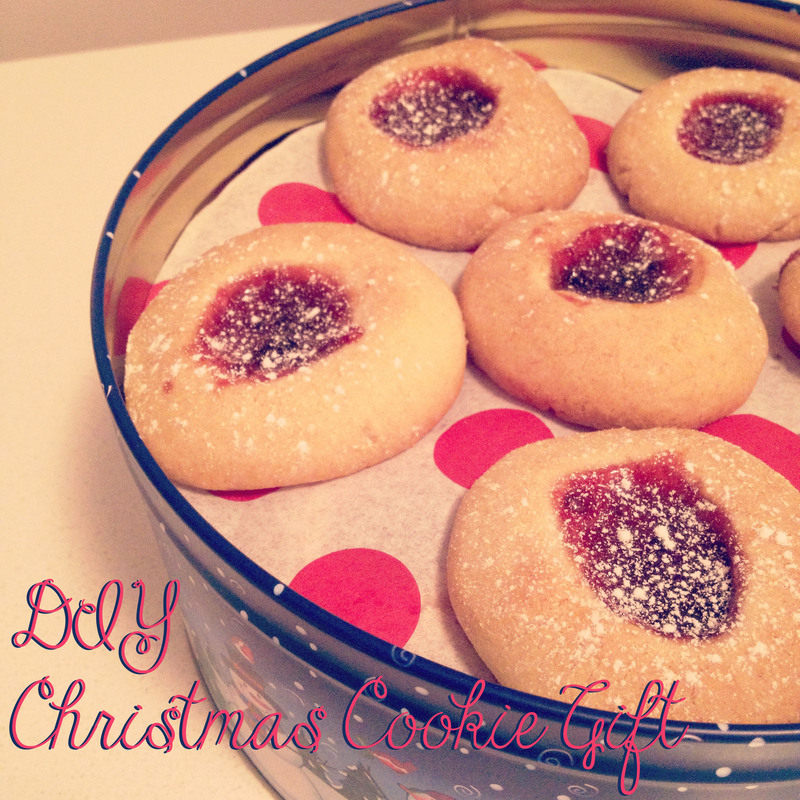 Bake your favourite cookies! Flip over the tissue paper so that pretty side (if it is printed) is facedown. 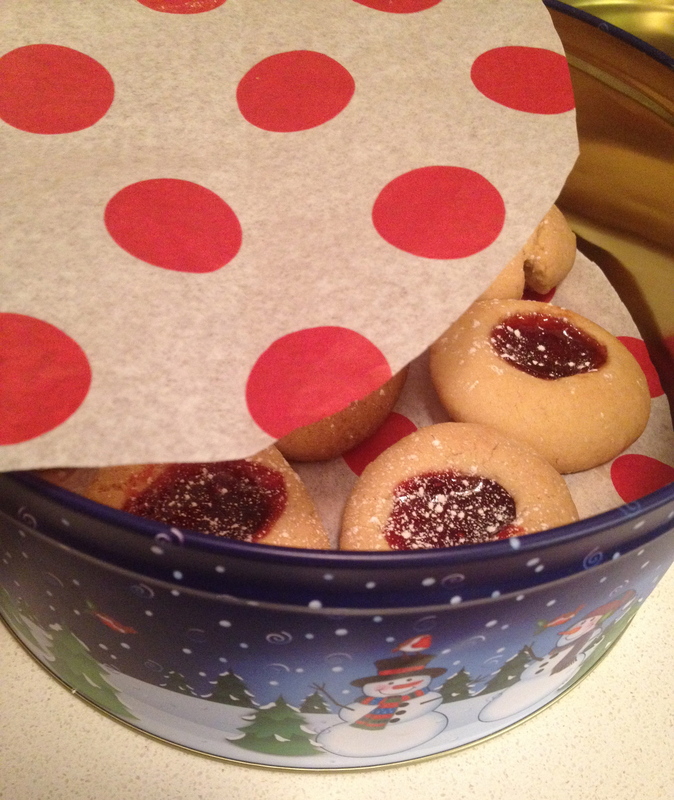 Take the lid of the cookie tin off and flip the entire tin over. Trace the tin with a pencil on the tissue paper. 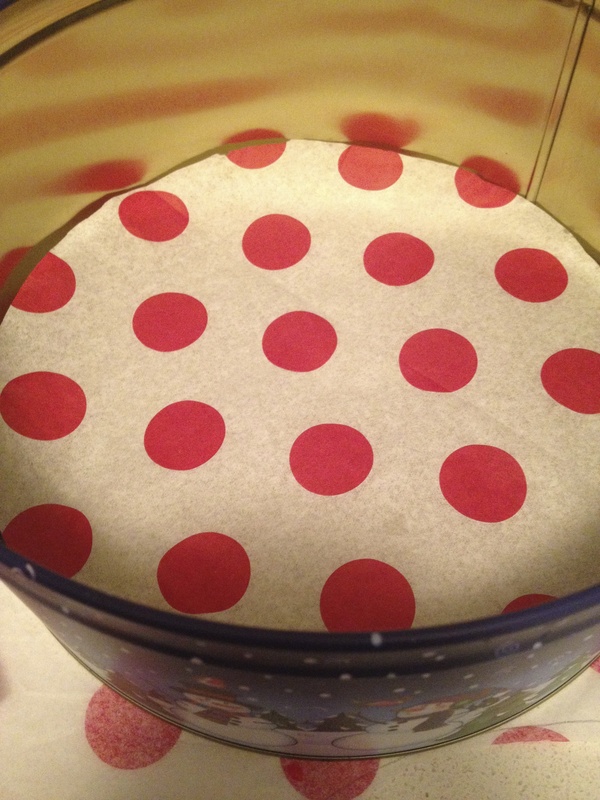 Cut inside the circle so that the tissue paper circle is a bit smaller than the tracing. Place inside. Add a layer of cookies and repeat the steps adding a layer of tissue paper and a layer of cookies. 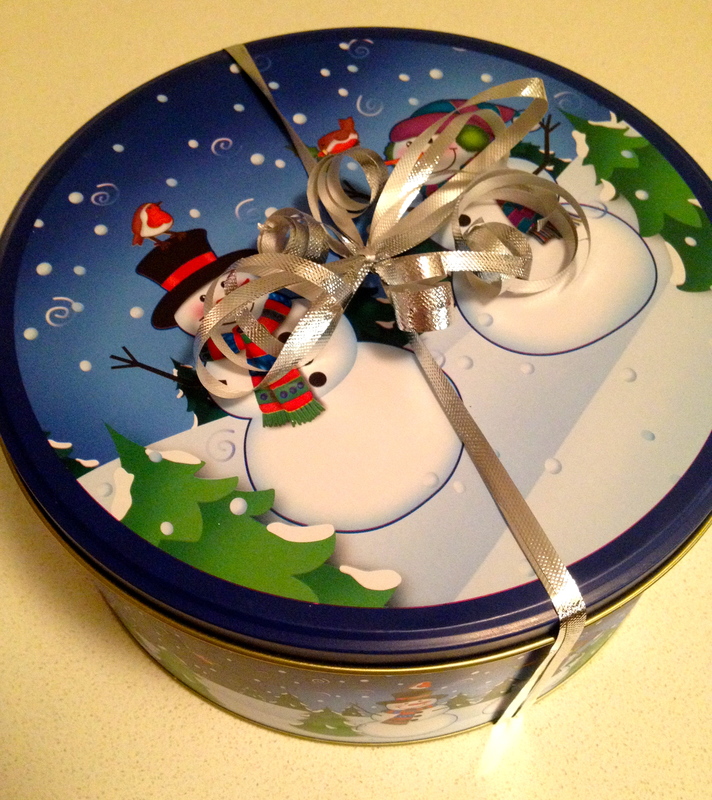 Close the lid and wrap with ribbon!